Terror attacks are fundamentally changing Irish holiday destination choices, according to data gathered exclusively for Independent.ie Travel. Fresh data collected by hotel price comparison website HotelsCombined.ie provides a unique snapshot of changing Irish holiday trends. Terror attacks in France, Belgium, Turkey and North Africa have combined with swinging exchange rates to alter the holiday landscape, the data shows. Meanwhile, similar trends in the UK have given rise to a new holiday phenomenon, the 'Fearcation', according to PA reports this week. Here are three basic takeaways from the research. Irish hotel bookings are down 35pc in Belgium, 55pc in Egypt and 37pc in Turkey, according to a data trawl of over 1.6m searches in the past year. Searches are down 5pc in France, but up significantly for destinations perceived as tried-and-trusted, including Spain (+23pc) and the UK (+15pc). The figures tally with a recent survey by 123.ie, which found that 80pc of Irish holidaymakers will avoid places at risk from terrorist attacks. The Balkans, Baltics, Sweden and the Netherlands also showed big jumps in searches and bookings, though off a lower Irish travel base. “But it’s worth noting that - although down - searches and bookings for recently troubled destinations continue, suggesting the Irish holidaymaker is not easily deterred,” Konovalovas added. Irish holidaymakers are not alone in changing their behaviour. "Fears of terrorist attacks, coupled with negative online reviews, have given rise to new phenomenon, dubbed the 'Fearcation'," writes Sarah Marshall of PA.
"According to a survey by Villa Plus, 75pc of Brits worry about terrorism when booking a holiday, and 50pc claim online reviews cause them anxiety when booking." Irish hotel searches in South Africa (above) are up 119pc, with bookings up 49pc, year on year. In the same period, the rand has fallen from 13.88 to 15.51 against the euro, offering one of the best exchange rates for overseas holidays. Other exchange rate flips include the UK, where Brexit is among the factors seeing a swing from 70p to 84.5p in 12 months. Irish hotel bookings are up 15pc to the UK, HotelsCombined.ie says, though the flipside of this is an obvious concern for British visitor numbers to Ireland. “Long-haul destinations whose currencies remained comparatively flat against the Euro – such as Australia and USA - have maintained their appeal while other destinations in that category – including Canada - appear to be losing favour," Konovalovas adds. Searches and bookings are also rising for long-haul destinations like the Maldives, Malaysia and the Philippines, where currencies have fallen against the euro. More: Mapped: Where is safe for Irish tourists to travel? Minister of State for Tourism and Sport Patrick O'Donovan with John McConnell, Innovation and quality, An Post, Foyne headmistress Maeve McNamara and Fiona Monaghan, Head of Wild Atlantic Way, Failte Ireland. Photo: Pat Moore. HotelsCombined.ie's research shows Irish hotel searches up 49pc, and bookings up 15pc, in the past year. The figures broadly tally with similar home holiday data released by the CSO and Fáilte Ireland in recent months. Despite the manner in which terror attacks and other factors are impacting on our choice of holiday destinations, overall trips continue to recover out of Ireland. 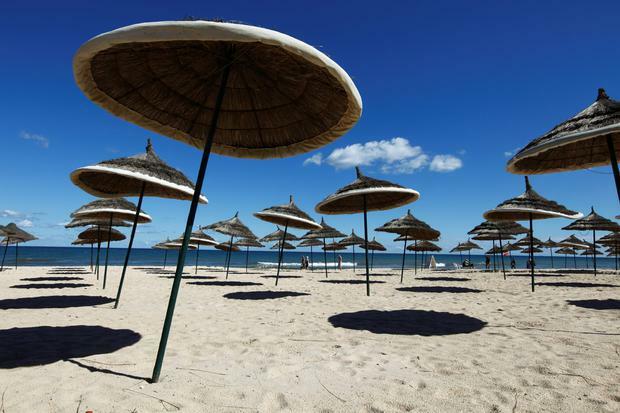 The most recent CSO overseas travel figures show a 3.7pc rise in overseas trips by Irish residents from May to July, compared to the same period in 2016. 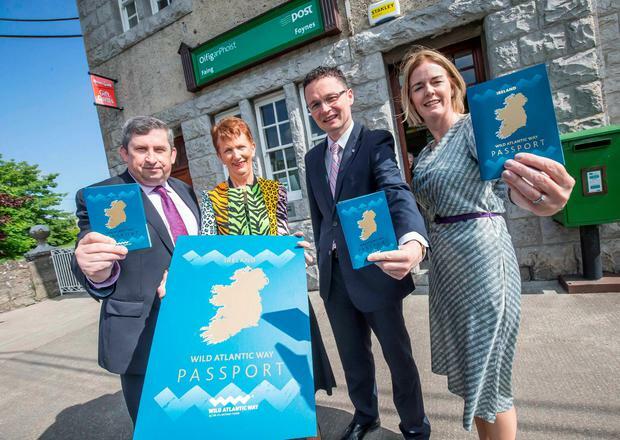 "This is very positive news for the Irish travel industry and a very welcome result after the many challenges the sector has faced in recent years," said Pat Dawson, CEO of the Irish Travel Agents' Association (ITAA). NB: The HotelsCombined.ie data was based on 1,627,599 Irish searches in the year to date from 2015 to September, 2016.